fact.cat – Page 9 – The fact.cat finds interesting facts with which to fill your brains. What is the most common letter? 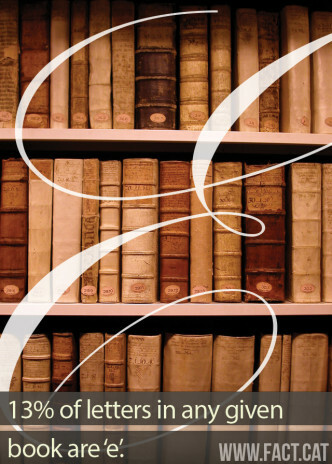 13% of letters in any given book are ‘e’. How many RPG hits can a tank take? 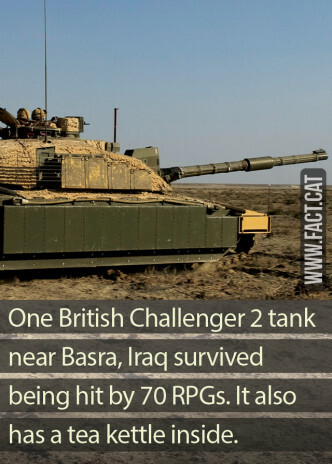 One British Challenger 2 tank near Basra, Iraq survived being hit by 70 RPGs. It also has a tea kettle inside. Was Ford Coppola fired from The Godfather? 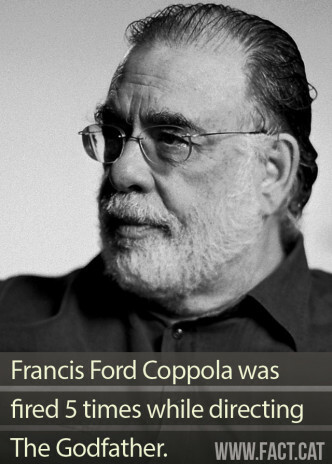 Francis Ford Coppola was fired 5 times while directing The Godfather. What are watermelons made of? 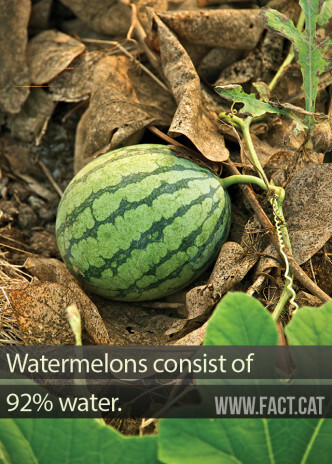 Watermelons consist of 92% water. Which animal has human-like fingertips? 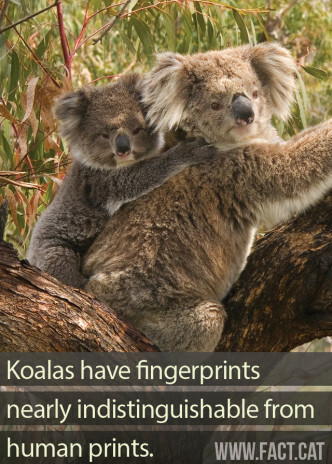 Koalas have fingerprints nearly indistinguishable from human prints. What is the fastest animal on Earth? 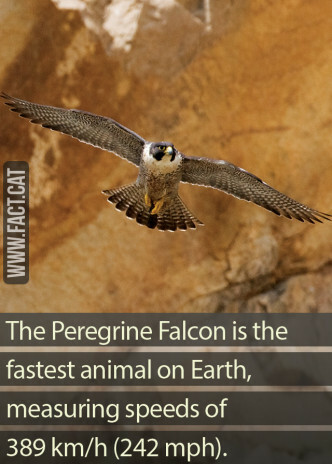 The Peregrine Falcon is the fastest animal on Earth, measuring speeds of 389 km/h (242 mph). How many impulse purchases do shoppers make? 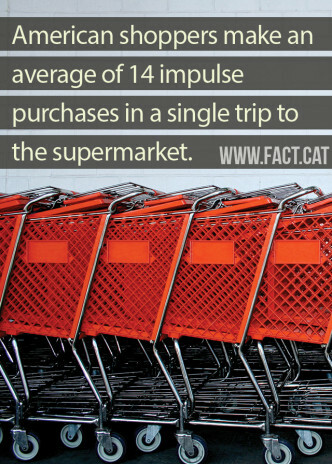 American shoppers make an average of 14 impulse purchases in a single trip to the supermarket. 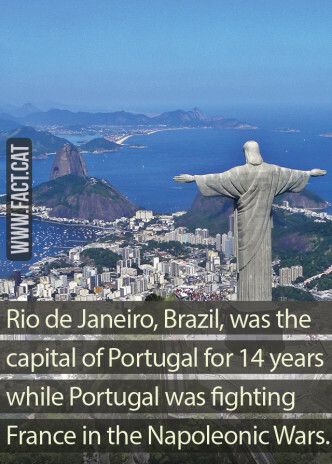 When was Rio capital of Portugal? Rio de Janeiro, Brazil, was the capital of Portugal for 14 years while Portugal was fighting France in the Napoleonic Wars. How many horses are there in Mongolia? 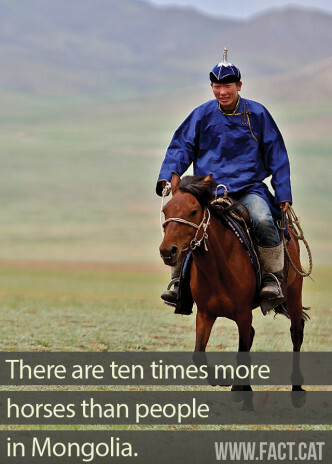 There are ten times more horses than people in Mongolia. 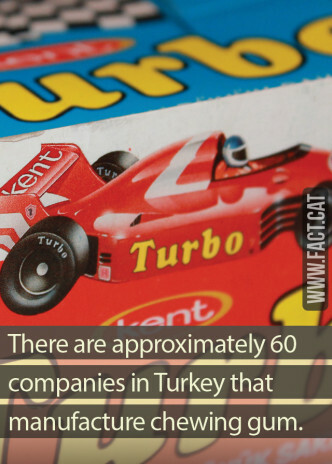 There are approximately 60 companies in Turkey that manufacture chewing gum. True or not? Contact us!